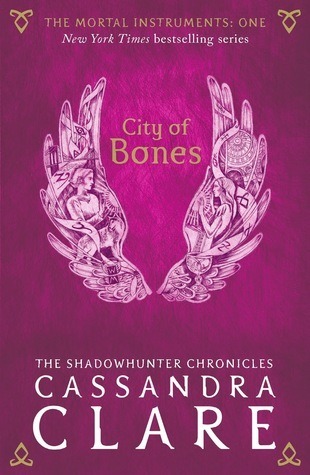 When I first heard of this trilogy and how it was meant to be a prequel of The Mortal Instruments I thought to myself: how can she pull this off? How could anyone pull off such a risky move? I’m not opposed to prequels in any way, however, there was a massive part of me that was skeptical on how this might work at the end of the day. It’s no secret that I love the world of Shadowhunters that Clare has created for us, and I am admittedly a sucker for period pieces. Which is why I gave it a chance. And I’m glad I did, in spite of its flaws, because it's certainly worth the read. I think that it’s safe to say that I fell even further in love with this trilogy than I had with The Mortal Instruments series. 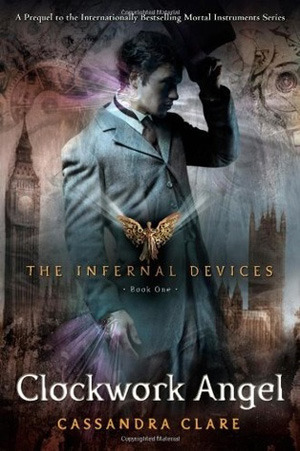 Which is rather shocking for me because I fell fast and hard for TMI’s characters when I finally did. For me, the selling point of this from the first novel of three up until the final pages: was how lovable the characters are — you feel so much sympathy for Tessa and the way she’s being treated at the start. And when everyone’s favorite old fashioned Shadowhunters come to the rescue — well, let’s just say this isn’t like most “damsel in distress” scenarios. 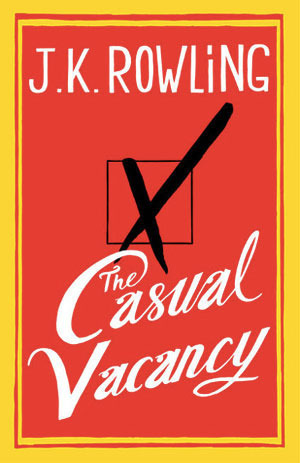 The Casual Vacancy’s tagline is “A Big Novel About A Small Town" and really, there is no better description for J.K Rowling’s debut in adult fiction. Because it is just that. And, hey, no complaints here! Admittedly, it took me a couple months to finish reading it because while it does intrigue you to know the happenings of a diverse medley of characters, it doesn’t always keep your attention for long periods of time. At least not for me. And again, taste is subjective — so this could just be me. Our story opens with the death of Barry Fairbrother and follows a selection of characters of all ages in the months following his death as they try to find somebody to fill his seat. Each character offers their own look into this small town in various ways that are sometimes hard to fully follow. You do get the hang of it eventually. "Best keep a safe distance. Unless you’re skilled with a knife. And — like me — you just can’t stay away. You know you love me, Gossip Girl." 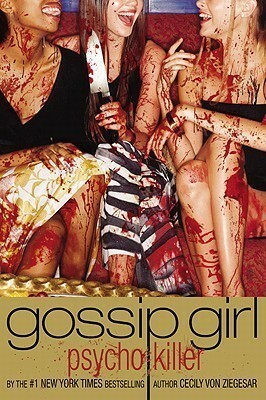 As many know, before there was the CW’s loose adaption Gossip Girl was a set of bestselling novels that ran from the 2002-2007 and eventually went on to release both a prequel and a follow up/sequel novel (the follow up novel was released during the shows run, and featured plotlines that were out of character for some book characters to attract fans of the television series, and spanned through the entire college characters of all the main characters). These novels were never meant to sound serious and are targeted at young girls who typically won’t read beyond the pages of Vogue. They are fashionable, juicy and full of humor in the sarcastic narration. And for the genre, these books certainly provide an entertaining amount of gossip, romance, friends and fashion. Did we mention backstabbing? 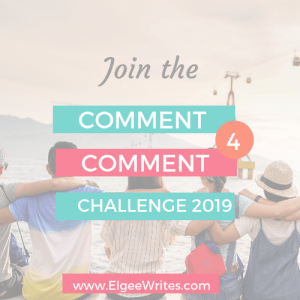 Cecily Von Ziegesar came back with a surprise rewrite of the first novel and really played on the backstabbing themes we’d come to known in the series. You know except this time with actual backstabbing. "The silver cord can never be broken. Your lives are linked. You can’t escape each other any more than you can escape destiny." I’m a sucker for all things witches — and so it is no shock that this trilogy is one of the first things I got my hands on when I was old enough to read young adult literature. 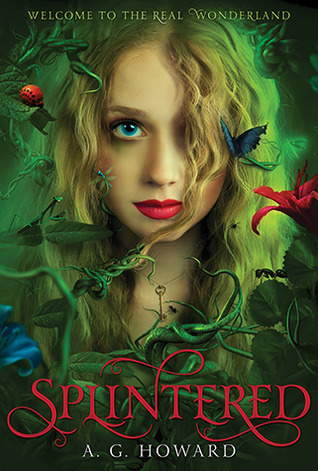 L.J Smith has penned many novels for teenagers (don’t be fooled — a majority of the newer things written under her name are not of her writing!) and has seen her creations The Vampire Diaries and The Secret Circle adapted for television. Her work is often overshadowed by adaptions (The CW Network is home to many loosely based young adult literature adaptions that scarcely stuck to their source material) or neglected due to readers finding it ‘weird’ or ‘cheesy’ or just overall not the greatest in writing. Which is okay, seeing as not everything is bound to be a persons cup of tea and most of her novels were published in the 90s. Did I forget to mention they are targeted at a younger audience, anyway? 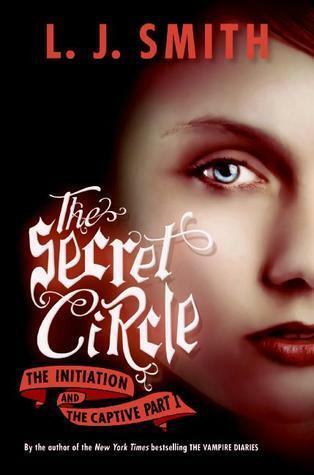 Regardless, The Secret Circle Trilogy is one of the best showcases of L.J Smith’s work. Of the three novels in this first run of these characters, you come to meet a group of young witches as they struggle to use their powers together for a common goal — and of course there’s a little romance to boot. And, well, teenage drama. Every now and then I stumble upon a novel that touches my heart and gives me something to learn. A novel that is as realistic as it is well written. One that shows us the effects certain events have upon us and how we never truly know the suffering of others, no matter how well we think we know them. And that at the end of the day, people can surprise you in the worst sort of way. Then there’s the other kind of surprises that prove to you that maybe, just maybe, things happen for a reason and not everyone is how they once were. In this novel we meet the narrator as a teenager who’s boyfriend had brought a gun to their high school and opened fire on some classmates that they put on a list. 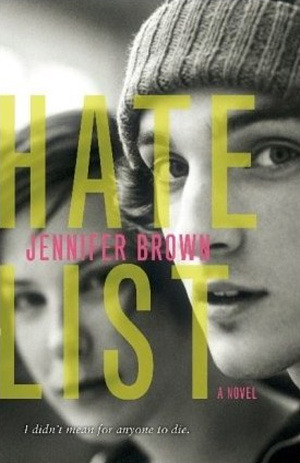 A Hate List. Although, our main girl didn’t have any real idea of how badly this list would grow and the consequences that would arise when life gains a lead and others lose control. "I’m a grenade and at some point I’m going to blow up. And I would like to minimize the casualties, okay?" You’ve heard the hype — this is one of those books that has spread like wildfire amongst book lovers and even people who don’t seem to find pleasure in reading regularly. 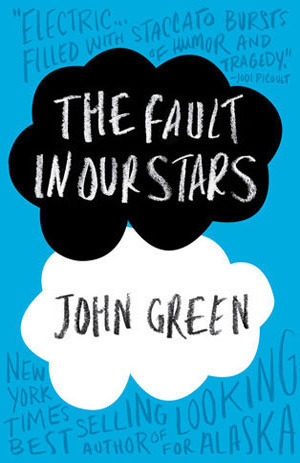 With a movie adaption fast upon us, the time is now to read one of John Green’s best works — but be sure to bring tissues with you while reading. And please note: it may not be the best idea to read this story in public. Nearly three years ago, my good friend introduced me to John Green’s work via Looking For Alaska. And the first thing you should know about John’s writing, if you aren’t familiar, is that he does a damn good job conveying teenage angst that you can find yourself believing. Another thing you should know is that while all his books are simple to read, that doesn’t mean they lack substance. Because let me be perfectly clear: there’s nearly nothing lacking in the way he writes. By the end of nearly each of his books, you will come out learning something — about the characters, the world, yourself. You will, without a doubt, fall in love with the characters he creates. "…fairy tales come in varieties she hadn’t known existed." / "Life isn’t about getting everything you want the instant you want it." This novel is one of the eBooks you can receive for free on iTunes, Amazon and Netgalley (as well as, I’m sure, many other sites) and is surprisingly well written for what you come to find in the freebies sections. It’s an easy paced novel and very fluffy and it will definitely cater to fans of romance novels. If you’re looking to fill a craving on a “will they, won’t they” sort of relationship, this book offers that in a very amusing way. Disclaimer: it will not be your cup of tea if you aren’t big on the simplistic ways typical romance novels are written. This particular story is a fresh, modern take on many romantic themes of current women’s lives. We have a pretty solid female lead (for a romance novel) in the form of Megan, a woman who is tired of relationships and the disappointment men often bring to her world but ready to raise a family of her own. Unlike most romance novels, we start with the understanding that Megan isn’t looking to raise a child with a man — she is looking into having a procedure done to become pregnant on her own. This, among the small glimpse into the background life of her character on her own, is rather refreshing compared to the background stories we see in most romance novels. 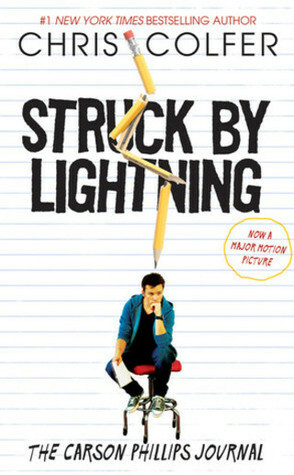 Struck By Lightning is a clever, witty novel filled with two things young adults will positively eat up: sarcasm and blackmail. Proof is in the opening chapter (or in, true to format, entry - as it is written through journal form) that the story will connect with a vast majority of high school students (or teenagers in general) and you may, no matter your age, just find yourself nodding in response to the main characters innermost thoughts. What strikes me most about the novel is that, though Carson Phillips hasn’t the most graceful way of going about to chase his dreams/accomplish things, it conveys one of the most encouraging things one can say to a young adult: never give up on your dreams. Chris Colfer knows the mind of a teenager (absolutely because he was one not that long ago!) and has managed to capture the essence of the hormonal, determined mind of a teenager who feels trapped in a world he can’t control. So, he takes the matter of forming a club into his own hands. Glee fans certainly have flocked to the novel — not just because it is penned by an actor from the popular television series, but because it gives us the opportunity to root for the underdog. "You look at people from the inside out instead of the other way around." 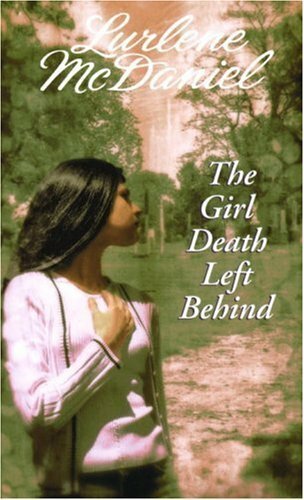 Lurlene McDaniel’s 1999 novel The Girl Death Left Behind is just the right amount of tearjerker storytelling you’d expect from this popular author. Lurlene’s work has been around for ages and I’ve got a hunch that, in terms of children’s books, it will continue to be around even as our grandchildren grow up. Yes, years from now — a little girl or boy will discover her work for the first time and you’ll be required to buy them dozens upon dozens of boxed tissue. This particular story begins like any other — a glimpse into the main character, Beth Haxton’s life before tragedy. She is the girl next door, an ordinary girl who has no clue her entire world is about to shake. The Girl Death Left Behind opens with a simple line that nearly all teenagers voice: You know the worst thing about my family? Her world is broken when tragedy strikes her family and she has to leave all she’s ever known behind. Memories may stay with her, and the pain of tragedy fades a little: but in this coming of age tale, you begin to see just how quickly things can change. You’ll see her as she battles the sadness inside over the loss of her family, having to be uprooted at a relatively young age and the difficulty she has in accepting certain aspects of this new life. It’s important to note that growing up, I was obsessed with any and all things Wonderland. Half of the years I’ve celebrated Halloween, I dressed up as a character from the stories or movies. Hell, my best friend and I even refer to ourselves as various characters from Wonderland. But, as the years go on — I become less and less interested in adaptions or new takes on the world many of us have grown up with. Needless to say, I was a little bit skeptical of this story in the beginning stages of hearing about it/purchasing it. Fortunately for myself, I gave it a chance. It certainly didn’t let me down. My favorite part about the story is how likeable the characters are, even if they aren’t meant to be. They are developed much better than I’d originally thought them to be, and the twists on familiar characters is something to definitely look out for. A.G Howard pens characterizations really, really beautifully and the dark edge she puts in some of them is very fascinating. "Time constricts and flattens, you know. It’s not evenly weighted. Certain moments linger in the mind and others disappear." Have you ever read a book that sticks with you for months after you’ve originally read it? Of course — all avid book readers have. Whether that’s a classic or newly introduced novels like The Book Thief, we’ve all had them. 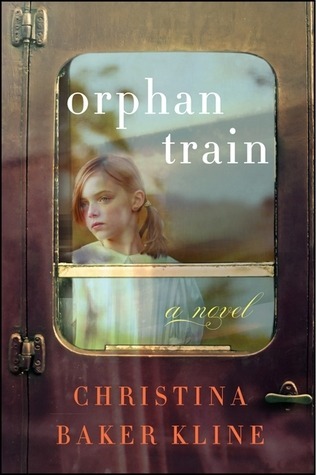 For me, that book is Orphan Train — a fascinating tale of a bond that forms between a teenager and an elderly widow who have a bit more in common than the teenager previously thought. It is almost impossible not to learn something from this interesting time in our worlds history. One trigger warning is that there is a small section of the story that does feature the topic of sexual abuse in foster homes. Our story opens to the life of seventeen year old Molly Ayer, who has gotten into some trouble and has landed a gig in the form of community service to prevent her from ending up in Juvie. We come to find that she lives with a foster family she isn’t particularly fond of (and a foster mother who is definitely not fond of her) and get a pretty decent glimpse into her life before foster care as well as her everyday life. Her narrative isn’t the best and she isn’t as well developed or believable as Vivian, but it’s still decently done. The real treasure in this novel is the story we’re told in flashbacks about the elderly woman she helps clean for: known in present day as Vivian Daly. Vivian proves to us that through tragedy our strength really does appear in time. "…but this is where I wanted to end my night. This is what I wanted to come back to. This is as much a part of my story as anything else. Friendship is as much as any romance. And like any love, it’s difficult and treacherous and confusing. But in the moment when your knees touch, there’s nothing else you could ever want." 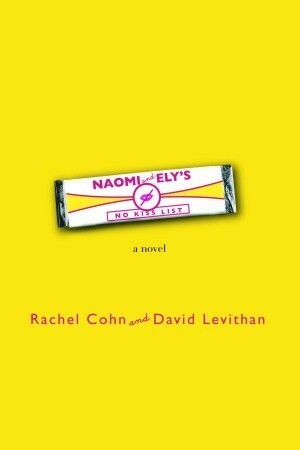 Naomi and Ely’s No Kiss List is the second book that this talented duo have worked on together (the first being Nick and Norah’s Infinite Playlist) and proves just the same that sometimes two heads are better than one. And how perfect is this bright cover? It certainly caught my attention! After the success of Nick and Norah’s Infinite Playlist, it was obvious that these two work incredible together. Naomi and Ely’s No Kiss List may fall flat at some points, but for a young adult book? It’s fabulous. Told in a split narrative between main characters and best friends Naomi and Ely, we follow the two friends as they try to keep their love lives from tangling with their friendship. After all, how many friendships end because one kisses the others crush or ex? This plan has worked to keep their friendship strong for the most part — until Ely kisses Naomi’s boyfriend and things become a bit complicated the more Naomi tries to understand her feelings towards Ely. It just goes to show you, sometimes things happen and the outcome isn’t always good. But everything happens for a reason. It’s how we handle it that’s the tricky part. "…but hey, starting over is what college is for. It didn’t matter that I had nothing left here. I’d just leave. Forget everything. Start again. Right?" / "He was just having fun," Camden said. "Maybe you’ve heard of it?" "Heard of it. Enjoy it. At the moment, not having it." I turned to go. Rewind to my sophomore year of high school, aka the first year I began to write book reviews. One day I decided to ask for donations of books for my school, as I went to an alternative school and the head teacher there is an absolute angel. Through the years, it was obvious the bookshelf in one of our classrooms wasn’t growing, so I figured I’d surprise my teacher and classmates with some new books. Cherry Cheva was one of the first authors to offer a book to donate and thus began my lovefest with She’s So Money. After a week or two of it sitting on the shelf in our classroom, unread simply because no one was doing reading assignments until the end of the semester, I picked it up and began reading it on my breaks between classes and lunch. First, I fell in love with the colourful cover. Shallow, yes? Well — who cares, really. If something gets you reading, it gets you reading. 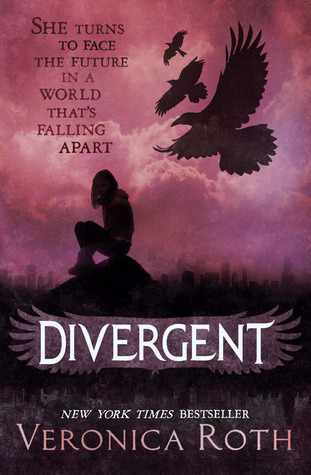 Divergent is the first novel in a trilogy that holds the story of a choice and a whole lot of determination in a dystopian but familiar setting of Chicago told through the eyes of main character Tris Prior. It is something that was recommended to me through a friend on Tumblr, after we’d had a discussion about The Hunger Games and the trend it has started in many young adult plots. One day I saw it on sale and picked up a copy for myself and my best friend due to our love of dystopian novels. We were, perhaps, looking for something to catch our attention in the way that The Hunger Games did. However, it is important to note and to always remember that although these stories have a similar setting, they aren’t the same. It’s a completely different story being told, and it is rather lovely. There was a certain slowness for me at the start of the novel, that took me months and months to get past. I kept putting it down and picking it up and repeating these motions until I finally pushed myself to read the story. Although I wasn’t easily moved by the first chunk of novel, I did grow an interest in this world (perhaps, it is because of my love for present day Chicago) and their politics, as well as the determination I’d begun to see in Tris. "The boy never cried again, and he never forgot what he’d learned: that to love is to destroy, and that to be loved is to be the one destroyed." 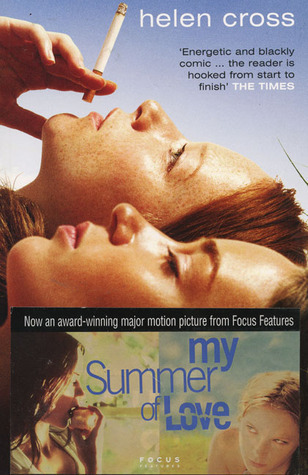 Originally, I had read this novel while I was a teenager and hadn’t had the best impression of it due to reasons that weren’t at all part of the novel itself; moreso do to my mindset at the time. That being said, I picked it up again recently in hopes of getting to know the story and its characters better now that I am, once again, more focused. I have to admit — I was a skeptic due to things I’d heard about spoilers of the plot and varied things in regard to the author. And at times the way characters were developed and how the novel itself was written, I wasn’t so certain that I’d grow attached to the plot. Though the story flowed in a decently presented manner, I sometimes felt that the appearance and explanations of some things left me wondering the hows and the whys. And yet, there’s something vivid throughout the story that grips you as Clary fights through a whole new world to find her mother. Her strength, for me, was the definite selling point when it came down to it. At the start of her journey you come face to face with her and the realization that her life is beautifully normal. She could be anybody you pass on the street. You almost don’t expect the growth she had shown throughout this first novel and admittedly I wasn’t prepared to grow attached to her character. I felt as though there was so much that could have been done with the characters and the setting. At times, the plot could run very slow and then sneak up on you when you least expect it to. It has the young adult edge to it and may at times read of a simple coming of age story, but does contain a certain darkness that can be both interesting and uncomfortable. There was, to me, so much potential in this story that went untouched. Which was rather disappointing in the end. And even though it has its flaws, it does maintain a complicated realness to it. Mona and Tasmin are both an odd tangle of teenage hormones and that’s what makes them both appealing and frightening. You may not be able to sympathize with one or both girls and you may (definitely) at times want to just shake some sense into them, but I find that to be rather refreshing as it is such a typical teenage trait. 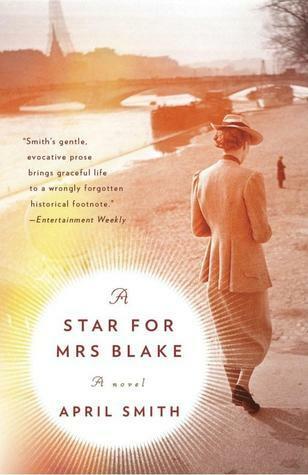 As far as historical fiction goes, A Star For Mrs. Blake stands out among more recent releases. It is in part based upon/inspired by a true stories. Many people will go into the story with minimal knowledge on the so called “Gold Star Mothers”, especially those who live out of the United States, and will come out of it understanding just a little more than before. April Smith opens our eyes to a part of history that isn’t expressed often and manages to do so with grace. As a whole, the story is quite moving and really gets you thinking by the time you finish its final pages. There’s an array of characters to see and plots that tie into one another quite well. Most importantly, you meet a woman (Cora) who is incredibly strong, thoughtful, admirable and who begins a journey to Paris; the final resting place of her son who was a casualty in WWI. We see a colorful and descriptive view from Cora throughout the novel. I can’t explain it all without spoiling every bit of the novel. But the story that unfolds is a beautiful one; beautiful in the tragedy of losing a child in such a way. It’s a loss many of us can’t imagine. You may be wondering why I’ve rated it three stars out of five if I thought it was so moving. In spite of all the good in the story, it wasn’t as good as I was expecting. It didn’t quite live up to expectations for me personally. Therefore I urge you to make your own judgements regarding the novel and read it for yourself. Before I start my review, I would like to clarify that I’ve rated this book a 3.5; nearly a 4 out of 5 stars. Second, let’s take a moment to talk about how stunning the cover art Edwin has. It’s absolutely perfect and while you mustn’t judge a book by its cover, I have to admit, the cover intrigued me. Lastly, Edwin isn’t a novel I would typically pick up on my own. In spite of my preference, it was still an intriguing read that will bring you into the folds of history. Any history buff will appreciate this novel and all it tells; it’s the perfect gift. 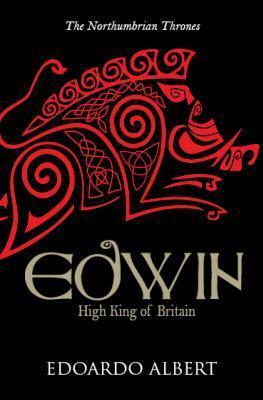 Edwin is a vivid, sometimes violent and descriptive, piece of historical fiction which takes place in England in 604AD. Edwin’s entire reign and his conversion to Christianity and all that happens in between are the major points in this historical tale. I have to applaud Edoardo’s work — not only is his writing phenomenal, he obviously knows just what he’s writing. Edwin is as well researched as it is written; something that often doesn’t balance one another out in historical fiction. Edoardo has a true gift in bringing history to life with a story so well written, you can see it play out in front of your eyes. I was quite disappointed when it ended and although I wished for more from it, it is still an interesting read. It isn’t something I’d recommend to everyone, but it’s certainly worth a shot if you love historical fiction. I will always, always have a soft spot for Lurlene McDaniel’s books. She is, after all, one of the authors who truly got me into reading. Don’t Die, My Love is perhaps one of her most popular works and has all the love and tragedy that became her signature in fiction. Without over exaggerating, I need to tell you guys this: THIS is her best work, even decades later. It’s beautiful and tragic, yet oddly hopeful as she explores the touchy subject of first loves and the loss of your loved one. Truly, Don’t Die stands the test of time. Lurlene McDaniel approaches illness, death and the sudden loss with an undeniably realistic tone which shows us the tragedy of life and the difficulty of coping. It’s a perfect addition to any ones book collection, but in particular it’s excellent for preteens/teens, because of the touchy subject material. This novel shows the harsh reality of life and illness. It isn’t easy and it isn’t pretty, but the strength you witness in her characters as they navigate these hardships is so inspiring. She can break your heart and put it back together within the span of her stories and there’s no way to possibly explain it. 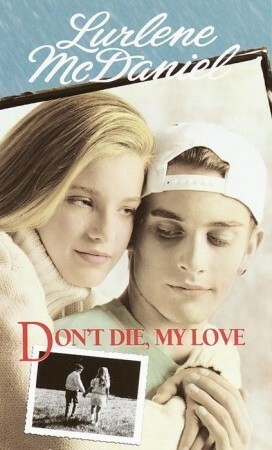 Don’t Die, My Love follows Julie Ellis and Luke Muldenhower, a pair of teenage sweethearts who’s fate as lovers seemed to have been sealed many, many years ago. You see instantly that the two are crazy for one another — in love, supportive and genuinely sweet. Their romance has been blooming since childhood; the perfectly sweet path to love. I wanted to write more for my review for this, but nothing seemed quite appropriate; not good enough for what I wanted to say about this beautiful book. Therefore, my thoughts will be rather quick and to the point when it comes down to it. I cannot stress enough that this collection of work is something you need to read in order to form an opinion on it. 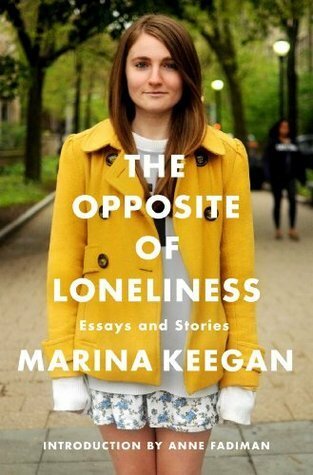 The Opposite of Loneliness is a series of essays and short stories written by the late Marina Keegan; a young woman who had recently graduated from Yale and, like most 22 year old women, had a promising future. As you’ve heard by now, within the buzz surrounding this publication, just days after her graduation, Marina was killed in a car accident. Just like that, an entire and bright future was wiped out and the world lost a potential literary star. It’s moments like this that remind us how fragile life truly is and how quickly something can be taken away from us all. Marina, like many young people, has something in her writing that projected the idea that we all find ourselves feeling invincible. Even still, her tone was mature and realistic; bringing us the knowledge that although there’s still so much more to explore, she had a great understanding of the world around her. 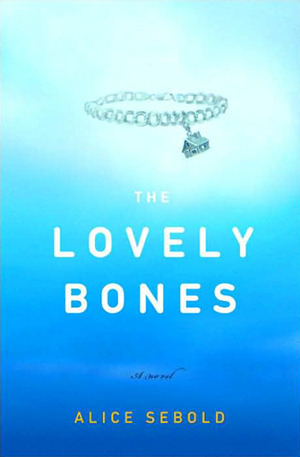 Years and years ago, I had almost overlooked The Lovely Bones, while book shopping after school. In fact, I had picked it up more than a few times and skimmed through it before setting it back and then repeating the process. I was very indecisive on whether or not the story was something worthy of my time and of course, often as a teenager, I had a superior attitude about whether or not I should like things that were popular. The hype was undeniable and it followed us everywhere for a couple of years, as many of you will remember. And I’m glad I didn’t ignore it because not only is it colorful in its haunting flow, it’s one of the best books I’ve ever had the pleasure of reading. Somehow, within a few chapters, The Lovely Bones captured by attention and I just knew it would go on to become one of my favorite books. Have you ever wondered where book reviewers purchase their books? How some receive some serious freebies? Or if it’s possible to receive free books to review? Both physical copies as well as eBooks? Are you new to all of this or just curious of your options? 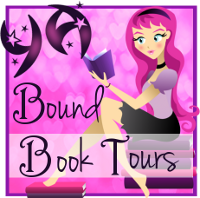 One of the most frequently asked question among beginning book bloggers are often on how to receive Advanced Review Copies straight to your mailbox or eReader. Receiving these may be at times tricky unless your blog results in a nifty amount of traffic — so click here for a lovely how-to guide on this topic to see if you may qualify or if you just want to give it a shot anyway. 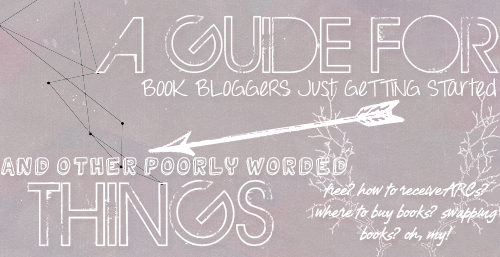 So here’s a helpful list that will hopefully guide you as you try to make your book blog work. And if you have any suggestions/options for the beginners, please don’t hesitate to send me your input.